If you are a fan, then you will be please to learn that an iOS 11.3.1 jailbreak is now available for iPhone, iPad and iPod users. Here are all the details. Though we are sitting right on top of the announcement of iOS 12, the Houdini semi-jailbreak has been updated to support iOS 11.3.1. Just like before, this is a semi-jailbreak which means that if your device restarts or loses power, you have to re-jailbreak it to reap the benefits of jailbreaking itself. First thing’s first: if you are really interested in this jailbreak, please make sure that you downgrade your device to iOS 11.3.1 right now. If you are already on that firmware, then you are in good shape. To learn more how to downgrade, check out the post here: Downgrade iOS 11.4 to iOS 11.3.1 on iPhone, iPad, iPod touch [Tutorial]. 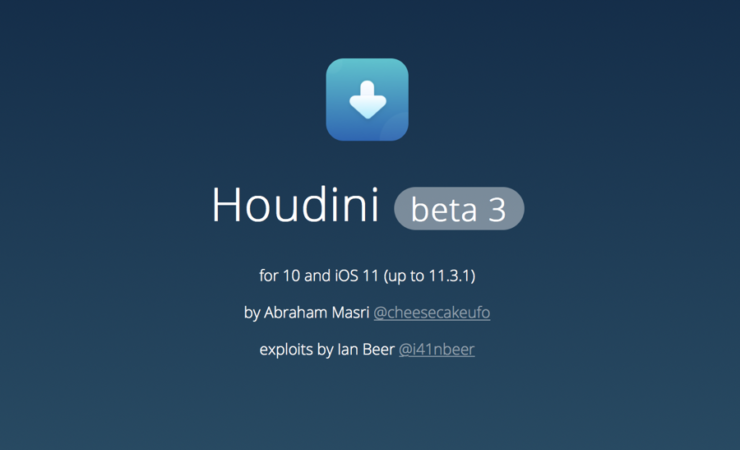 Once you have downgraded, all you have to do is grab Houdini from its official website, and use Cydia Impactor to restore it onto your device. You can follow the steps outlined here on how to do just that. Now, the thing here is: Houdini might sound wonderful but it really won’t take you far in terms of what you should expect from a jailbreak. Sure, it will give you root access to your device, but it won’t give you Cydia, the reason why you’re going ahead with an iOS 11.3.1 jailbreak in the first place. Also, since this is a semi-jailbreak, therefore the inconveniences are quite a few here, something which you just can’t ignore. If you’re on older iOS 11.x firmware then I would highly recommend sticking around with Electra for that matter as it is a far better jailbreak in terms of features, thanks to Cydia. But still, if you consider yourself an iOS enthusiast with a high flare for jailbreaking, then you may want to proceed without giving it a second thought. But remember, backup all your data before going ahead.